There are a number of ways to reduce the number of change notifications you receive. It's not infallible - but it should help. More on what this option ignores. Simple but effective! 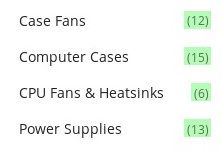 If you're checking a page hourly switch to daily! Weekly is an option too if the content you care about doesn't change too often. If you have lots of tracks and you'd like to change the check frequency of all them - get in touch and we can do that for you. Often all of the content you care about on a page is in one part of the page - you can opt to just track that section. 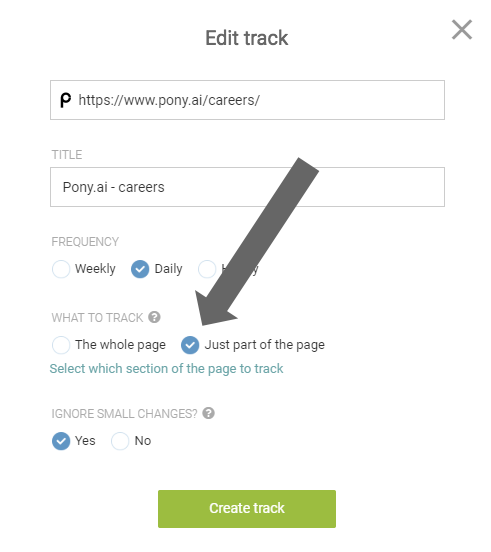 Wait a little while for Trackly to analyse the page and you'll be able to select a section of the page to track. More on selecting a section to track in this help article: How do I track just part of a page?